You can’t have a conversation unless you listen and respond accordingly. Otherwise, there’s no context and participants are pretty much talking to themselves. It’s the same with persuasive writing. To do it right, there’s as much ear-to-ground as fingers-to-keyboard involved. This philosophy is at the heart of our new tagline, Content to Conversation, which actually is less a line than a circle of ongoing listening and conversing – all with the goal of persuading consumers to choose a client’s product or service. The starting point is our initial engagement, in which we listen to clients to get their perspectives of who they are, their competitive environment and where they want to go. At this stage, we both collaborate and lead, integrating the client’s insights with our marketing knowledge and experience. We also “listen” to the competition and market, adding to the client conversation and discovering its differentiators – those things that make them stand out. We then create a plan that includes content designed to create positive change in the way the client and its products and services are perceived. When done correctly, that persuasive content begins a conversation among the client and its customers and potential customers, selling product, building loyalty and creating new champions. The cycle is ongoing, as companies and consumers change over time. In other words, leave fluff to the cat, and make strong, compelling arguments based on knowledge and supported by logic. 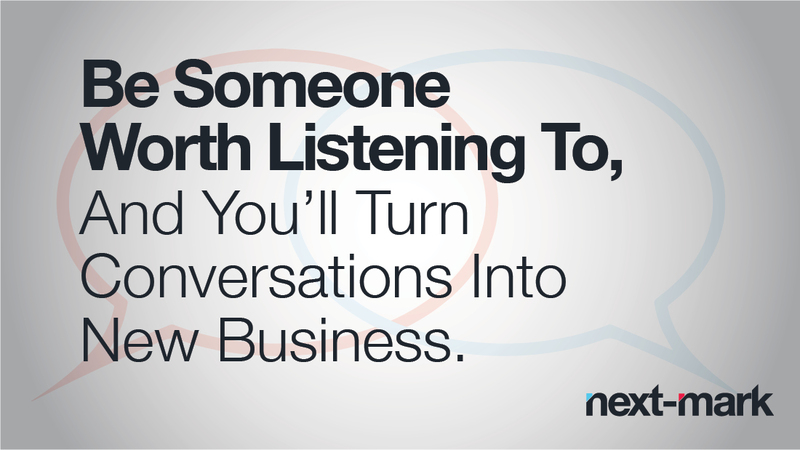 Be someone worth listening to as a company, and you’ll turn conversations into sales. How do you create brands that consumers love?